Elizabeth City, NC – It’s official: when the 2015 Chevrolet Corvette Z06 arrives at Performance Chevrolet later this year, it’ll deliver a staggering 650 horsepower, and 650 lb-ft of torque, making it the most powerful production car in Chevrolet’s history. The 2015 Corvette Z06’s supercharged 6.2-liter LT4 small-block V-8 is officially SAE certified at 650 horsepower at 6,400 rpm, and 650 lb-ft of torque at 3,600 rpm. Low-end torque, important for launching quickly off the line, is plentiful. Just off idle, the LT4 delivers 457 lb-ft of torque, while 90 percent of its peak torque (592 lb-ft) is delivered from 2,500 - 5,400 rpm. With this sort of power on tap, the 2015 Z06 is the most powerful production car ever built by General Motors. Not only does the new Z06 deliver 145 horsepower and 180 lb-ft more than the previous generation model, it also bests the renowned C6 Corvette ZR1 by 12 horsepower and 48 lb-ft of torque. The new 2015 Z06 also outguns many exotic sports cars from around the world. The LT4’s peak power ratings trump the Porsche 911 Turbo S by 90 horsepower and 134 lb-ft of torque. Further, The Z06 delivers 28 percent more torque than the 6.3-liter -liter V-12 found in the Ferrari F12 Berlinetta, and delivers that power much lower in the rev band. 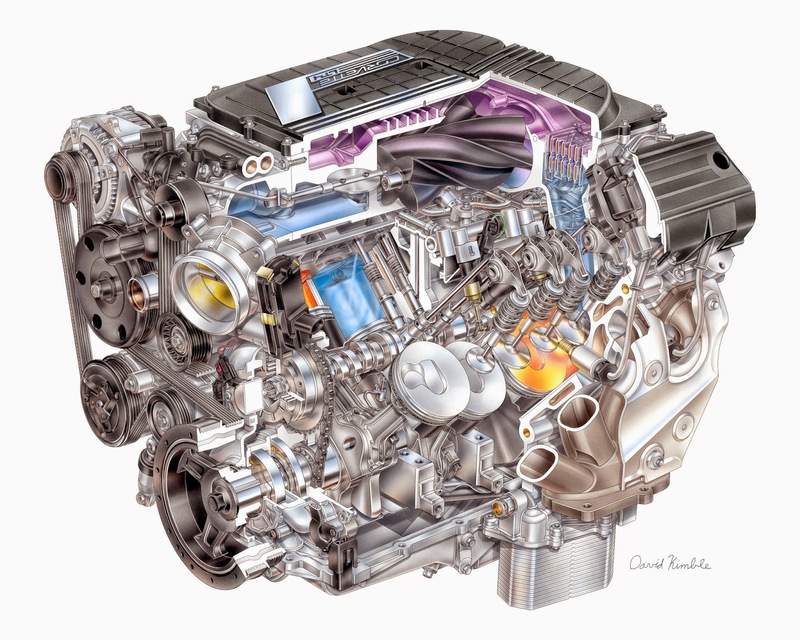 Because the LT4 is derived from the same Gen 5 small block foundation used to create the LT1 found in the 2014 Corvette Stingray, the 2015 Corvette Z06’s LT4 engine is one of the smallest and lightest 650-hp engines in the industry. The LT4 gains several unique features designed to support its higher output and the pressures created by forced induction, including titanium intake valves, forged steel connecting rods, forged aluminum pistons, and special heavy-duty aluminum cylinder heads. The 2015 Corvette Z06’s LT4 V-8 will be assembled at the new Performance Build Center at GM’s Bowling Green Assembly Plant along with GM’s Tonawanda engine plant in New York. Z06 customers will be able to pair the LT4 with either a standard seven-speed manual transmission or an all-new, paddle-shift eight-speed automatic – the first ever offered in a Corvette Z06. The 2015 Corvette Z06 goes on sale at Performance Chevrolet in the fourth quarter of 2014. If you are in the market for a new Chevy, Performance Chevrolet is your Chevy Dealer near Outer Banks, NC!